One of the most ferocious war vessels to ever spring from Gallente starship design, the Brutix is a behemoth in every sense of the word. When this hard-hitting monster appears, the battlefield takes notice. The Brutix is known as a very high DPS combat battlecruiser. In PvP it is normally blaster fit and shield tanked, making it maneuverable and able to do outstanding DPS if it can get in to range of its target. Unfortunately, this is well known, leading many enemies to primary Brutixes before they can close. Brutixes are also frequently railgun fit and hull tanked for PVP and are good for baiting in hull tanked fits. In PvE the Brutix is normally passed over in favor of its sister the Myrmidon. Further information about additional or recommended skills to pilot Brutix for a specific or it's common role(s) can be written here. The Warp Speed changes of the Rubicon expansion has seen the roles of ships heavier than a Cruiser, if not diminish, then shift completely. Gone are the days of the roaming skirmishing Battleship and Battlecruiser, which could act as the heavy punch of a small gang/small fleet. 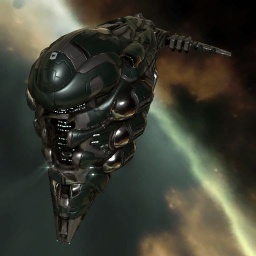 The Brutix has a dual role of a heavy in your face blaster boat and a long range dps delivery platform with railguns, and is especially the go-to option for wormhole operations where you want as much DPS through a wormhole with as little tonnage wasted as possible, and where you don't have the skill or the wallet for a T3 Cruiser as yet. Properly fit, it can mount decent tank as well with little compromise for DPS. As a Blaster boat its very straightforward, warp to zero on the enemy, align out, shoot, call for reps when targeted or rep yourself if you dont have Logi. The Rail Brutix is where you have to watch out for the enemy getting under your guns, but you dont have the speed to kite properly without resorting to cap heavy, sig blooming MWD, and even then you're not fast enough to outrun a cruiser, nevermind a destroyer or frigate. Where the Rail Brutix does shine is front line wormhole space POS Bashing - your tank is big enough to rep consistently so you can stand up to POS guns with logi support, your range is high enough to hit the tower with good dps, and you can incapacitate POS modules handily in a fleet. You can also stand up to defenders should they launch a counter-attack. This page was last modified on 16 July 2017, at 21:21. This page has been accessed 199,727 times.